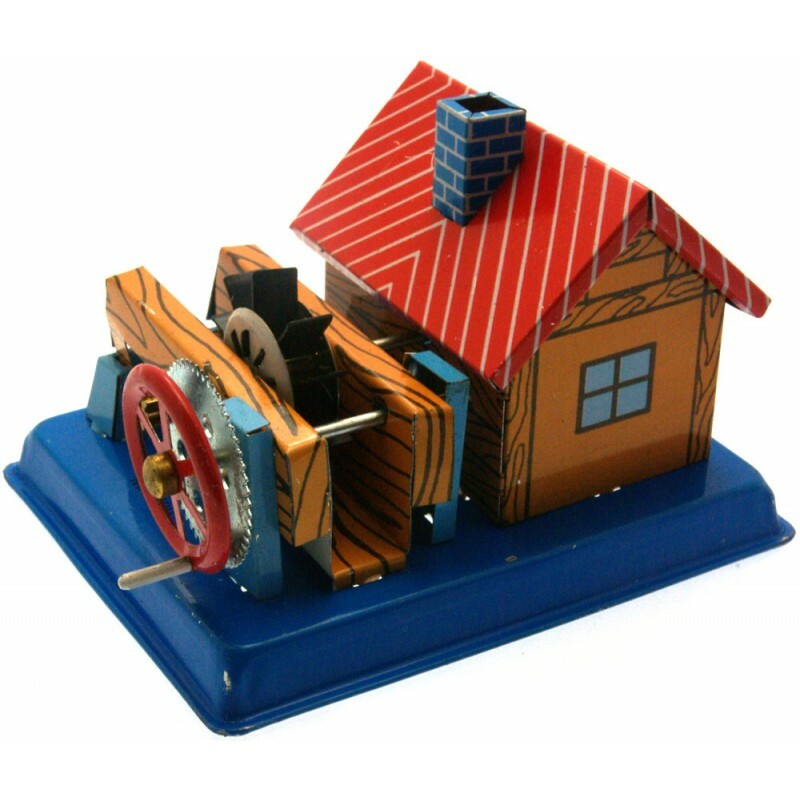 Highly detailed, all metal construction tin toy. Turn the handle and the gearbox spins the water wheel around.9.5cm. Made in China.